New to this forum. Recently purchased a brand new W251 recently. #2 & #3 work on my '07 R320. Last edited by Dr. Jimmy; 08-24-2013 at 01:13 PM. I have the only Lemon 06 R500 then. New front airmatics, new AC compressor, new purge valve for the fuel system, new intelligent servo for the transmission, new AC control module, new AC blower assembly, and all in less than 90K miles/145KM. Great vehicle when it is good but $4K in 60 days is not a good deal. No vehicle should have this many failures in this short of mileage that costs $72K. Cruise Control does not work when ESP (Electronic Stability Control) is turned off! Canadian models come with pre-installed block heaters. there is a hidden bottle opener in the middle of the front cup holder !! first time even i see this on a car !!!!! This is one of my favourite features. It goes well at the drive-thru beer stores. and the most special about it ( als then being in a car ) is that it's in a Familly oriented car ! OK, I've driven it for 100k miles and just found something out. If one key is in the ignition and running the car, the other key is disabled. My wife was in it last week running the air while waiting for me and I tried to open the rear hatch with my key. No Go. My key would also not lock or unlock the doors. I guess this is a security feature. When in reverse, adjusting the passenger side mirror down to point at the curb will cause it to go to that position every time you put it in reverse. How to oil change R500, year 2007 without dipstick to drain oil ? Is there plug to drain the oil ? I believe it's all done from the top .. ie. suction out the oil. Definately the oil filter is at the top of the engine (drivers side up front, quite easy to spot). There is no oil drain plug at the bottom if i recall my checking on this myself a few months back. I love my newly purchased R350 2010 except that I am stuck with the roof rack and the cargo box on the top of it and this thing is crazy low on MPG so I have been paying almost 50 a week for gas lol and I switched from a GLK 250 which would give me MPG of almost 40 and even more on long hwy drives and this R 350 gives me about 20 and low 20s if I am lucky! All that said, it has been a great car so far and I am very happy with the drive, the space you got and the safety features. windshield wipers do not operate when hood is open! (ps.) ran the units power line along roof/window line and then under the rubber trim all the way down into the foot well. 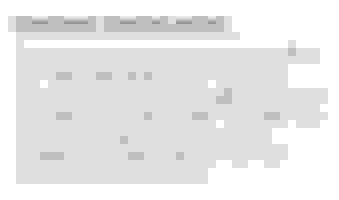 nothing showing. I did not know that the R Class lives on. Check out the videos to see the assembly line. - the 2012 doesn't have the active curve bi xenons offered on the previous models. But those rims have punctured or ripped three tires on my R350 over the years - usually from hitting a curb or something. "THINGS I DIDN'T KNOW ABOUT MY R CLASS" ... and still don't know... How to change the damn brake light on my 2012 R350?!?!?!?! WTF? I think you have LED brake lights. In that case you might have to replace the whole assembly or solder in new LEDs. It is kind of a combo of "standard" light bulb and LED. On the left rear, the upper light (regular bulb) works, but the lower (LED) does not. On the right it is the opposite. So having to replace the whole assembly because some lights do not work seems over the top. But hey, it is MB were are talking here, ha ha. That said, I am going to give MB a call and see what they say. However, I still do not get why I cannot even change the brake light. The upper one, the regular bulb. That makes no sense to me. 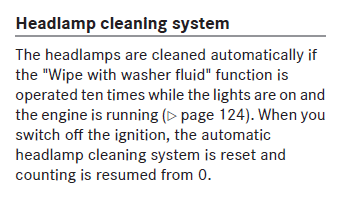 The manual only shows how to change the reverse light bulb. p.s. I found videos that show how to change the brake light bulb on older R-Classes, but not for a 2012. I guess they change the whole assembly?! TIL: headlights cleaning systems activates automatically every 10th windshield wash.
Great thread! I just took delivery of my 2011 R350 tonight, in the snow. I can't wait to try some of these tricks. The salesman showed me the bottle opener in the divider first thing! That's one of those Captain Obvious tips for sure.